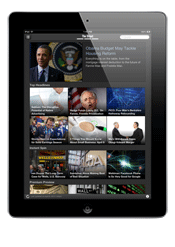 TheStreet Mobile is completely new and redesigned. Our app provides convienient access to news, analysis and stock ideas from our investment sages on Wall Street and beyond. Find comprehensive market news and commentary, actionable data, technical analysis and more with the stroke of a finger. This is a valuable financial toolkit featuring a new and bold interface designed specifically for today's demanding investor.